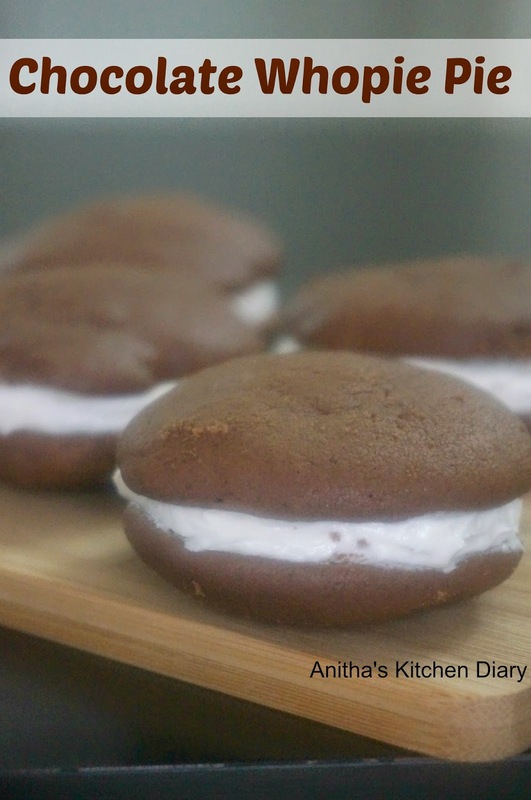 I reserved this recipe for Valentines day but somehow couldn't able to post on that day.Chocolate whoopie Pies combination of moist and soft domed shaped chocolate cookie.The buttermilk and coffee makes the batter soft and moist. In a mixing bowl, sift together all purpose flour, coco powder, baking powder, baking soda and salt. Add eggs and beat well. Add vanilla extract and beat until combined. Mix the buttermilk and water or coffee in cup.Now add the flour mixture and buttermilk in three additions starting and ending with the flour.